Unique Group's wholly owned company, GSE Rentals, has recently sold a new Applanix POS MV SurfMaster and POSPac Software suite to its client, Insight Marine Projects Ltd. Unique Group is a leading subsea and offshore service provider and GSE Rentals forms part of its Survey Equipment division. GSE Rentals specialises in the short, medium and long term rental of high quality geophysical, hydrographic and oceanographic marine survey equipment. Insight Marine Projects Ltd, based in Cornwall in the UK, provides tailor made survey services to marine sectors around the world, with a particular focus on the renewables sector and civil engineering. Their services cover a range of disciplines, including construction support and geophysical survey. 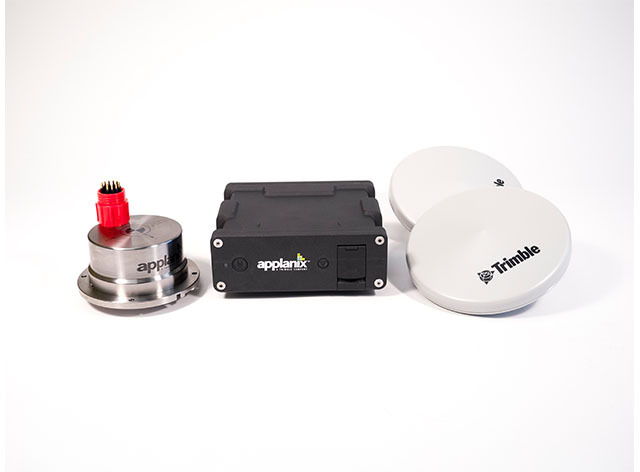 The POS MV SurfMaster is an Inertial Navigation System (INS), which provides accurate positioning, heading and velocity data in a rugged small form-factor system, ideal for mobilisation to vessels of opportunity. This hardware is a key feature of the equipment required for high resolution multibeam bathymetric surveys. The system is complemented by the Applanix POSPac MMS processing software suite, which maximises the capabilities of the hardware. Insight Marine selected this system over other similar systems as a result of its superior quality of operation. It allows for rapid mobilisation to various types of coastal/inshore vessels whilst maintaining the highest levels of accuracy. Another pivotal factor was that the SurfMaster INS is effective as a whole, particularly since it comes with the small form factor topside unit which is more effective than traditional rack mounted variants found on other INS systems. The small form factor enables the use of the hardware in a number of different scenarios. The accompanied POSPac MMS software also allows for the streamlining of the entire process, from data acquisition through to post-processing. GSE Rentals has been offering the Applanix systems on a sale or rental basis since 1997. The lease pool also includes OceanMaster and WaveMaster II POS MV systems as well as full versions of the POSPac Post Processing Software.